La Croix Lime Sparkling Water. 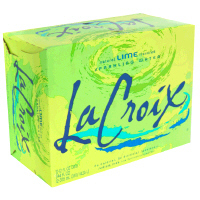 Wonderful La Croix Sparkling water with the taste of lime. Lime La Croix sparkling water.